This book is a nonfiction gardening resource. This is one of the most beautiful and practical gardening books I have ever seen! 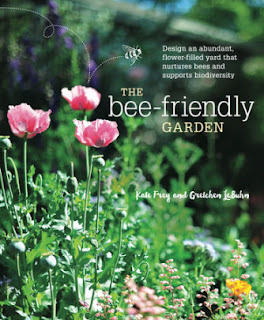 Kate Frey and Gretchen LeBuhn are two scientists and gardening experts on a mission to educate us about bees and their importance. This book starts by educating us about bees and their role in nature. They address why they are important and how we can help to repopulate and save them from their recent plight. Once we are aware of the importance of bees they open up about plants and gardening practices that encourage the re-population of bees. This book is packed with beautiful photographs of the different kinds of bees and many kinds of plants and flowers that are both beneficial and harmful. I love that they identify both sides for us. Once they have educated us they share information on designing gardens that draw bees to your yard. This book is loaded with information, resources, definitions, photos and it is so timely! If you are a gardener I am sure you will love this book. I certainly have. It will become a mainstay in my gardening resources stack for years to come. I gladly give this book a 5 out 5! It is published by Ten Speed Press.